Summer is in full swing in GALICIA with many fantastic GASTRONOMY & WINE Events to enjoy! 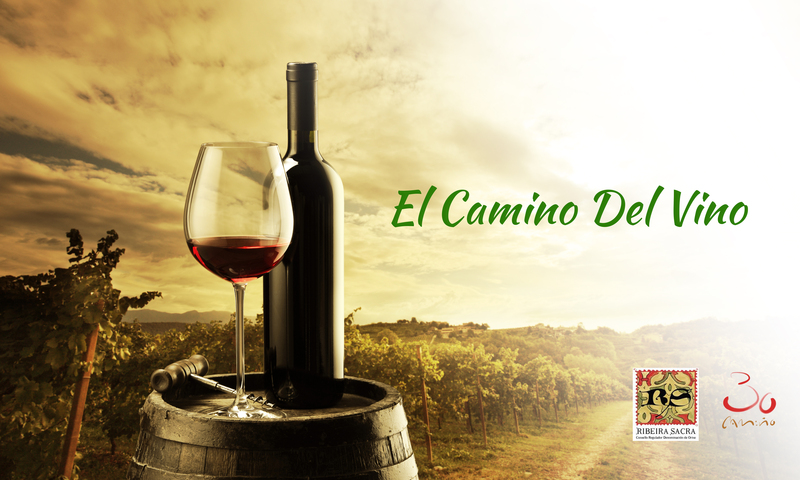 We will continue our travels in Ribeira Sacra discovering this ancient pilgrim path known as the Camino Invierno – Winter Way – or as I like to call it EL CAMINO DEL VINO! With the sun shinning it is perfect for more time on the river – Rio Miño with Luisa and Quinta Sacra, a little gastronomy and wine tasting with Marcus and O Batuxo Belesar Restaurante a beautiful setting right on the river and of course more time in Lucie and Kaj’s HEAVENLY Cabo do Mundo Casa Rural. So much more to DISCOVER & ENJOY! Looking forward to experiencing more of the history, culture, and incredible AMBIANCE that makes Ribeira Sacra – live up to its name – originally called by Queen Teresa of Portugal as “Rivoyra Sacrata” in 1124 when she mentions this incredible area and refers to the great abundance of shrines and monasteries located along the river. Here’s to enjoying more adventures in Ribeira Sacra – hope you will join me 🙂 Bo Camiño!!! This entry was posted in Camino Celebrations & Connections, Camino CHILL-OUT, Discover Galicia - Descubre Galicia, Walking Along Vineyards, Walking The Ways In Galicia, Wine Tasting Along The Way and tagged Abaceria O Batuxo Belesar Restaurante, Belesar, Bo Camiño, Bo Camiño TASTE IT!, Cabo Do Mundo Casa Rural, Chantada, Culture, Descubre Galicia, Discover Galicia, El Camino Del Vino, Galicia, Galician Wine Routes, History and Tradition of Wine, Nature, O Batuxo Belesar Restaurante, O Batuxo Restaurante, Outdoors, Quinta Sacra, Quinta Sacra River Cruise Tours, Red Wine, Ribeira Sacra, Spain, Spanish Wines, The Way of St. James, Travel, Vino Blanco, Vino Tinto, White Wine, Wine Tasting In The Camino, Wine Tasting Tours. Bookmark the permalink.